The Principle of Karma must be understood properly, if we want to make proper progress. But the details of Karma are inconceivable often, and often times in comprehensible. An example we often use because it happened to me some years ago. I got malaria, yes. 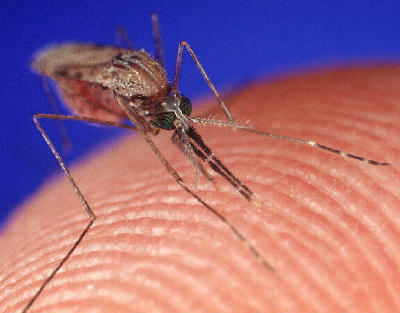 How many of you have got malaria? Very nice…Very nice….In the west if you say I got malaria…aahh…and you lived through it!! Malaria and you lived through it!! But in India practically everybody has malaria. Specially…Bombay. It’s like a common cold practically, as far as frequency. But anyways it’s a horrible disease. You get high fever, and you are practically dying. Chills, and first you are freezing then you are burning and then you are freezing and then you are burning and you can’t stand up and you can’t walk. Doctors come and put pills in your mouth and you are vomited out. It’s a very learning experience. So now if someone is going to ask me which mosquito bite you, on what date, where were you and what part of body? Do I know? Some people might know but I don’t know. Because I get bit by all kinds of mosquito, every day. I don’t know which one, what date, where was I? There is no way for me to know that. But I know the principle. If I have malaria, it means- I was bit by a mosquito. I don’t know when, I don’t know where, i don’t know why, I don’t know who. But I know I was bit by a mosquito otherwise I wouldn’t have malaria. Do you all accept that with your college trained intelligence? So similarly if we are suffering we know the principle, I am suffering because I caused suffering to others. I am suffering because I defied my real duties in life as a servant of God. No I may not know exactly what I did or when or how or to who; but I know the principle. An you know what I did after I got malaria- I didn’t know which mosquito, I didn’t know when, I didn’t know where, I didn’t know at what part. But one thing I did know I am going to use the mosquito net from now on. And I also took the medicine. I have to confess, I took Cloraquin. It’s the standard medicine for malaria. So similarly when we are suffering we may not be able to understand exactly why or how but we know we did something. So we take the medicine and avoid doing those things that will cause it again. That’s ho we deal with the laws of Karma – Radhanath Swami. A good understanding of the laws of karma also gives us a proper insight when we see good people undergoing suffering. For example, thousands of pious Hindus lost their lives and millions suffered in a natural disaster that recently hit Uttarakhand, a state in Northern India. Radhanath Swami gives a complete analysis of karma in a lecture entitled, “Why do bad things happen to good people.” The audio clip in this post is taken from that. 5 Responses to "Radhanath Swami speaks of the principles of karma"
Radhanath Swami made it interesting and easy to understand through the example of mosquito.